In 2011, one of my friends won the possibility to rent Toldi cinema in a lottery. A few months later, in January or February of 2012, I joined the team and bought a part of the company that rented it. I really wanted to do something because I missed the club scene in Budapest, but in the beginning I didn’t want to do the programming. I didn’t know anything about program organizing; I just wanted to have a bar and maybe serve food, so I was in charge of hospitality. I had a lot of ideas and goals, and I was always searching for events in Budapest but I couldn’t find any. Here, everyone has an idea, but before they do it, they smoke a joint…so it’s a bit slow to materialize. Here in Hungary you need to have some income and you can’t wait a month to decide to have a party. The rental price here is quite high so we need the space to be full all week. Toldi is owned by a government organization called Budapest Film that supports the screenings and owns four local cinemas: Művész, Puskin, Corvin and Toldi. But there are a lot of festivals and non-screening events organized by myself and my direct partners and outside partners, which are capitalist or funded by other organizations and companies. It’s hard to communicate with Budapest Film because they’re not into this culture or this scene. I cannot do anything at Toldi before 11 p.m. because of the screenings, and when I have an idea to do some special event I always have to fight with them because they need to make a lot of money to run all these venues. Of course, they’re not bad people because of this; they just need to keep the cinema financially alive, so there must be a balance between programming and making money. But perhaps at times it could be balanced better. At Lärm, the other venue I run, I don’t have to make a lot of compromises. Actually, I decided that I’m never going to do business bookings there. It was built basically from scratch in the spring of 2013 behind Fogasház, a popular ruin pub. Before that it was just a building with flats and a space that was occasionally rented for private parties. I started to push to make it into a techno club. 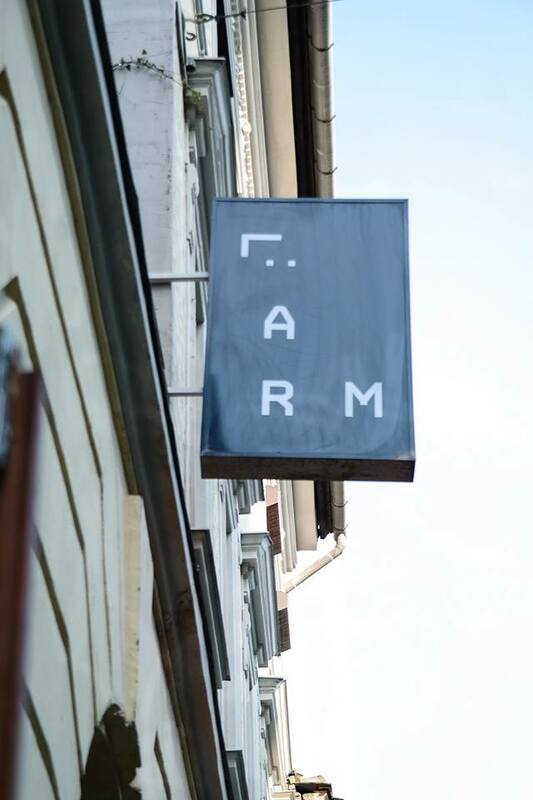 It was hard to convince the owners that it wouldn’t be a drug place where people will die from ecstasy pills, but they finally said okay, and Lärm was under construction by November or December of 2013. I have a lot of connections because I’m a sound engineer and I have experience in architecture, so I asked all my friends to help me design the acoustics and the sound system. I called all my DJ friends and said, “Come here. What can you imagine here? Where should the DJ booth be?” I designed the plan for the building and redid the floor because it wasn’t strong enough to let 300 people in. Photo of Lärm courtesy of galeria.index.hu. 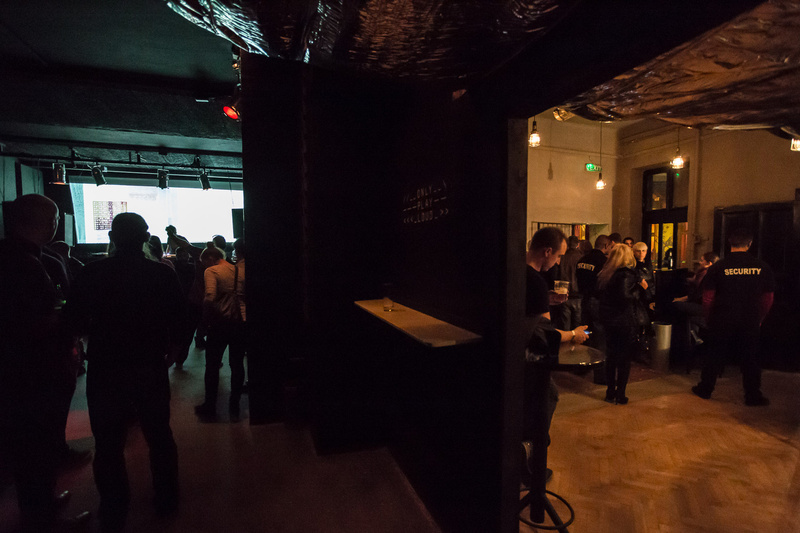 We opened Lärm in March 2014, and at the opening party everybody said, “A Berlin techno club in Budapest! Yes!” It was funny to do a “Berlin-style” techno club with black concrete walls because at that time I hadn’t yet visited Berlin or seen a club there from the inside. When I built Lärm, I had a good, small, proper techno place in Budapest called Mono on my mind. Only Hungarian DJs played there and sometimes their friends. It was a really inspiring place, but it was dirty. It had two floors; you went down into the basement where there was a bar, then you went down one more floor to the dance floor. It was always really stinky, but we enjoyed it because it was the place for underground techno. It was the first place I listened to techno and began to do parties. The government closed it, I think, in 2012. My romantic idea with Lärm was to do a place where there was nothing—just music. I wanted to make a place for the Hungarian scene because local producers didn’t have anywhere to show their music to an audience. There’s a really big business in the seventh district with these ruin pubs; they started to become popular in 2004, when the Szimpla Kert club opened—that’s the most famous ruin pub, the best and the oldest: the ruin pub of ruin pubs. There was a big ruin pub boom around 2010. But when they organize a night, they just call somebody and say, “I need a party. Can you be the DJ? Share it on Facebook, invite your friends and play here in the corner.” They don’t have any vision. They focus on tourists and income. At Toldi we focus only on Hungarians; we don’t have any drunk tourists and we don’t have any English advertisements. At Lärm, I see the ruin pub in front of it growing a lot, and sometimes people wander up to our parties from there. Sometimes they don’t behave. Lärm’s biggest fault that it’s not independent from the ruins complex downstairs, but the tourists from Fogasház make up less than four or five percent of the crowd, so it’s still cool. However, we’re going to have to take it more seriously and implement some new rules: no cameras, lights, screaming or smoking—typical club rules. At first I wasn’t sure that Lärm was going to be a place to book a lot of foreign artists and more expensive names, but it was really successful, and after two months I decided to formally manage the bookings with the help of co-organizers. I unpack the ideas and make them real, so the final “yes” to invite an artist is my decision. Nowadays we can afford to book more expensive artists. I didn’t know it was going to be good, but it’s much better than I imagined, and I’m happy about that. The whole vibe is really positive and honest. We had a really great crowd at the beginning: friends, people with a new way thinking, world-shapers. Nowadays the core audience still visits the club regularly, yet it’s not so concentrated anymore because in general more people are coming. The new part of the crowd is a new thing for me; I always wanted people to come here not just because of us—not just because the people who work here are their friends—but because of the club’s vibe. We are “the club” around here, somehow, and they like it. It was really weird for us to have knew regulars whose faces we don’t know, but after a few weeks it was really good to see them assimilate to the vibe. If you’re a tourist and you want to have a great night with really good techno, house and disco music, and you still want to see a really Hungarian and unique ruin bar complex, you can enjoy those places simultaneously here. If you just want to see an underground Hungarian club with the best local DJs and hear selected artists playing on a really powerful sound system alone in a dark room to forget the world, Lärm is also a good choice. Photo of Lärm courtesy of Lärm’s Facebook and galeria.index.hu.